Saudi Arabian King Salman has sacked Muhammad bin Nayef as crown prince, replacing him with Mohammad bin Salman in an anticipated palace coup. According to a royal decree published by state news agency SPA King Salman called for a public pledging of allegiance in Mecca on Wednesday to the new crown prince. Bin Salman, 31, has been his country's defense minister and deputy crown prince, and was instrumental during President Donald Trump's recent decision to visit the Kingdom. who had been positioned to inherit the throne, from his title as crown prince and from his powerful position as the country’s interior minister overseeing security. The move did not come as a surprise as many Saudi watchers had long suspected his rise to power under his father’s reign might also accelerate his ascension to the throne and ignite infighting within the royal family. Mohammad bin Salman was little known to Saudis and outsiders before Salman became king in January 2015. 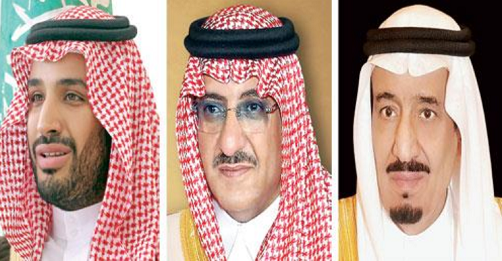 He had previously been in charge of his father’s royal court when Salman was the crown prince.